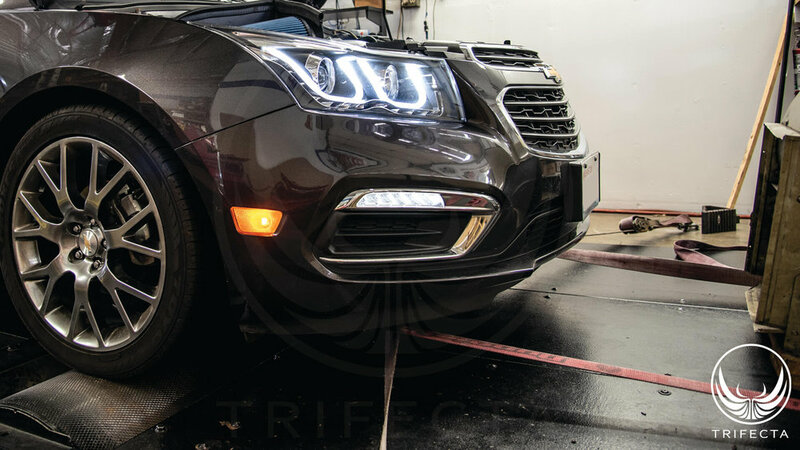 TRIFECTA is pleased to announce we have tested and validated the above referenced MPFabs Cold Air Intake with the TRIFECTA performance calibration for the 2011-2015 Chevrolet Cruze and 2016 Chevrolet Cruze Limited with the 1.4L Turbo (RPO:LUJ or LUV) engine. As such, we are issuing a Hardware Support Notification (HSN) for it. An HSN** means that the part was installed and tested for correct functionality on a TRIFECTA development vehicle, with the TRIFECTA calibration product, and if any specific calibration changes are necessary to support or optimize it, these changes have been established and finalized. As such, customers wishing to install this part on their vehicle may do so under the Advantage line product and will not require any customization beyond, in some cases, a parts-specific calibration update. We are excited to introduce our new intake system for the 1.4L turbocharged Chevy Cruze. You won’t find a higher quality or better performing intake on the market. We have designed this intake using parts from our already proven Sonic intake system, and combined them with a new heat shield specifically built for the Cruze engine bay. Our intake does a fantastic job of keeping out power robbing heat by surrounding the air filter with an aluminum heat shield equipped with an outer rubber gasket that makes contact with not only the interior panels of the engine bay, but also extends upward to seal against the hood when closed. 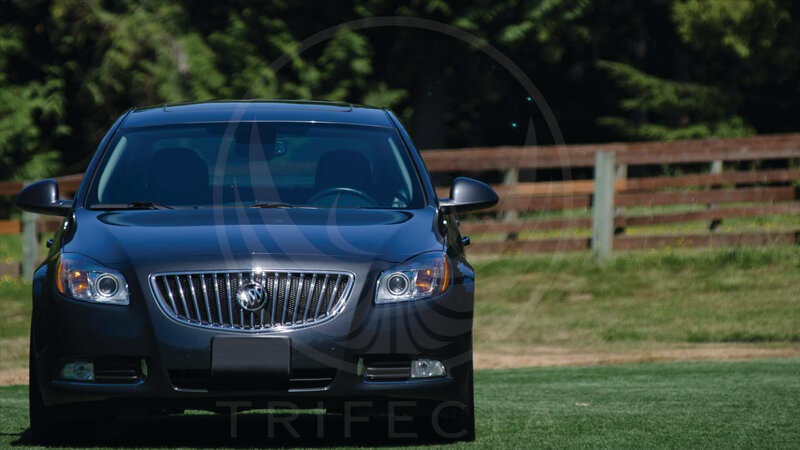 Since hot air rises, having a heat shield that seals against the hood to create a barrier, ensuring the best results possible. This barrier blocks out the hot air trapped along the “ceiling” of the engine bay, and allows cooler denser air to be drawn in instead. During our testing, we found this intake system to deliver accurate airflow metering with the OE mass air flow calibration meaning this intake can be used with our without a performance / custom tuning / calibration. We found the sound and the quality of the kit to surpass most of the other mass market intake systems available for this vehicle. Future or existing TRIFECTA customers interested in purchasing this product may be able to do so through TRIFECTA, please contact our support team for more info! A Hardware Support Notification (HSN) from TRIFECTA is a statement that we tested the product with our calibration products, and in some cases may include performance data collected and/or ad-hoc comments on the product by TRIFECTA. TRIFECTA is not specifically affiliated with, nor specifically endorses (or is endorsed) by the product listed in this HSN. TRIFECTA makes no warranty or claims regarding the quality or performance of the product listed in an HSN. In some cases, TRIFECTA may act as a reseller of hardware described in an HSN and as such may receive a profit by reselling said hardware. TRIFECTA always recommends that hardware be installed by an experienced and certified shop or facility. Unless otherwise specified, customers purchasing hardware from TRIFECTA would need to work directly with the manufacturer in the event there is a question regarding installation. Unless otherwise specified, all hardware available through TRIFECTA will “drop ship” from either the manufacturer, or a distributor.